Editor’s Note: ACRL TechConnect blog will run a series of posts by our regular and guest authors about The Setup of our work. The first post is by TechConnect alum Becky Yoose. Ever wondered how several of your beloved TechConnect authors and alumni manage to Get Stuff Done? In conjunction with The Setup, this is the first post in a series of TechConnect authors, past and present, to show off what tools, tips, and tricks they use for work. I have been tagged by @nnschiller in his “This is how I work” post. Normally, I just hide when these type of chain letter type events come along, but this time I’ll indulge everyone and dust off my blogging skills. I’m Becky Yoose, Discovery and Integrated Systems Librarian, and this is how I work. Current Mobile Device: Samsung Galaxy Note 3, outfitted with an OtterBox Defender cover. I still mourn the discontinuation of the Droid sliding keyboard models, but the oversized screen and stylus make up for the lack of tactile typing. eeepc 901, currently b0rked due to misjudgement on my part about appropriate xubuntu distros. Current Tablet: iPad 2, supplied by work. Don’t panic. Nothing to see here. Move along. Notepad++ – my Swiss army knife for text-based duties: scripts, notes, and everything in between. PuTTY – Great SSH/Telnet client for Windows. Marcedit – I work with library metadata, so Marcedit is essential on any of my work machines. MacroExpress and AutoIt – Two different Windows automation apps: MacroExpress handles more simple automation (opening programs, templating/constant data, simple workflows involving multiple programs) while AutoIt gives you more flexibility and control in the automation process, including programming local functions and more complex decision-making processes. Rainmeter and Rainlander – These two provide customized desktop skins that give you direct or quicker access to specific system information, functions, or in Rainlander’s case, application data. Pidgin – MPOW uses both LibraryH3lp and AIM for instant messaging services, and I use IRC to keep in touch with #libtechwomen and #code4lib channels. Being able to do all three in one app saves time and effort. Jing – while the Snipping Tool in Windows 7 is great for taking screenshots for emails, Jing has proven to be useful for both basic screenshots and screencasts for troubleshooting systems issues with staff and library users. The ability to save screencasts on screencast.com is also valuable when working with vendors in troubleshooting problems. CCleaner – Not only does it empty your recycling bin and temporary files/caches, the various features available in one spot (program lists, registry fixes, startup program lists, etc.) make CCleaner an efficient way to do housekeeping on my machines. Janetter (modified code for custom display of Twitter lists) – Twitter is my main information source for the library and technology fields. One feature I use extensively is the List feature, and Janetter’s plugin-friendly set up allows me to highly customize not only the display but what is displayed in the list feeds. Echofon for Firefox (modified code since Echofon has discontinued their browser plugin) – This is reserved for my main Twitter feed. Lists are primarily in Janetter. For server apps, the main app (beyond putty or vSphere) that I need is Nagios to monitor the library virtual Linux server farm. 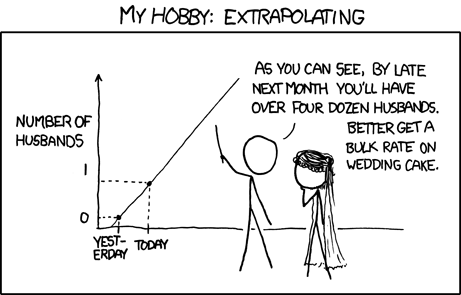 I also am partial to nano, vim, and apt. As one of the very few tech people on staff, I need a reliable system to track and communicate technical issues with both library users and staff. Currently the Libraries is piggybacking on ITS’ ticketing system KBOX. Despite being fit into a somewhat inflexible existing structure, it has worked well for us, and since we don’t have to maintain the system, all the better! Web services: The Old Reader, Gmail, Google Drive, Skype, Twitter. I still mourn the loss of Google Reader. For physical items, my tea mug. And my hat. Computer workstation set up: two HP LA2205wg 22 inch monitors (set to appropriate ergonomic distances on desk), laptop docking station, ergonomic keyboard/mouse stand, ergonomic chair. Key word is “ergonomic”. I can’t stress this enough with folks; I’ve seen friends develop RSIs on the job years ago and they still struggle with them today. Don’t go down that path if you can help it; it’s not pretty. Light source: four lamps of varying size, all with GE Daylight 6500K 15 watt light bulbs. I can’t do the overhead lights due to headaches and migraines, so these lamps and bulbs help make an otherwise dark concrete box a little brighter. Do it right the first time. If you can’t do it right the first time, then make the path to make it right as efficient and painless as you possibly can. Alternatively, build a time machine to prevent those disastrous metadata and systems decisions made in the past that you’re dealing with now. The Big Picture List (2012 list pictured above)- four big post it sheets on my wall, labeled by season, divided by months in each sheet. Smaller post it notes are used to indicate which projects are going on in which months. This is a great way to get a quick visual as to what needs to be completed, what can be delayed, etc. The Medium Picture List – a mounted whiteboard on the wall in front of my desk. Here specific projects are listed with one to three action items that need to be completed within a certain time, usually within one to two months. The Small Picture List – written on discarded Choice review cards, the perfect size to quickly jot down things that need to be done either today or in the next few days. My wrist watch, set five minutes fast. I feel conscientious if I go out of the house without it. I’d like to think that I’m pretty good with adhering to Inbox Zero. The practice of system and network administration, 2nd edition. Part curiosity, part wanting to improve my sysadmin responsibilities, part wanting to be able to communicate better with my IT colleagues. It depends on what I am working on. I have various stations on Pandora One and a selection of iTunes playlists to choose from depending on the task on hand. The choices range from medieval chant (for long form writing) to thrash metal (XML troubleshooting). Realistically, though, the sounds I hear most are email notifications, the operation of the elevator that is three feet from my door, and the occasional TMI conversation between students who think the hallway where my office and the elevator are located is deserted. An introvert blessed/cursed with her parents’ social skills. I turn into a pumpkin at around 8:30 pm, sometimes earlier. I wake up around 4:30 am most days, though I do cheat and not get out of bed until around 5:15 am, checking email, news feeds, and looking at my calendar to prepare for the coming day. Not advice per se, but life experience. There are many things one learns when living on a farm, including responsibility, work ethic, and realistic optimism. You learn to integrate work and life since, on the farm, work is life. You work long hours, but you also have to rest whenever you can catch a moment. If nothing else, living on a farm teaches you that no matter how long you put off doing something, it has to be done. The earlier, the better, especially when it comes with shoveling manure. 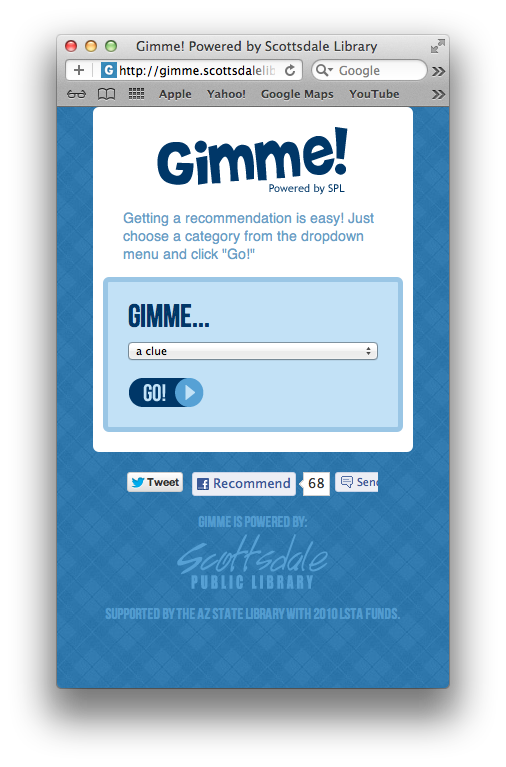 About a year ago we launched the Gimme Engine (gimme.scottsdalelibrary.org) – a mobile web book recommendation engine. Choose one of the categories – Gimme a Clue, Gimme Something Good to Eat, etc – and the Engine will offer you a staff-recommended book from the Scottsdale Public Library collection, complete with summary, staff review, and a quick link to the mobile catalog to check availability or reserve. Since launch, our app and the Gimme Engine Brain Trust that created it have won a number of awards – including a 2012 OITP Cutting Edge Technology in Library Services award. What’s our secret? We are happy to share what we learned in our process with the hope it will help you in your next technology process. When our team got together for the first time we had more ideas than we knew what to do with – everything from a mobile formatted version of our web site to a Dewey-caching in library scavenger hunt. We soon realized that in order for us to create a successful, and more importantly, sustainable mobile app, we needed to poll our customers and find out what exactly they want out of a mobile app. Though we had done some basic surveys of staff in the past, we didn’t feel that we were the experts best suited to properly create & distribute a survey that would ultimately drive our entire project. There was in fact no real difference between customers and non customer need in the survey results but one thing was clear: current and future customers had no idea that we already had a mobile catalog with most of the standard functionality that they wanted. 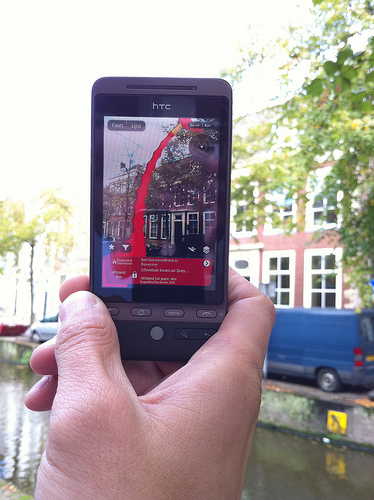 Great, we thought, just get the word out about the mobile catalog and our job is done! 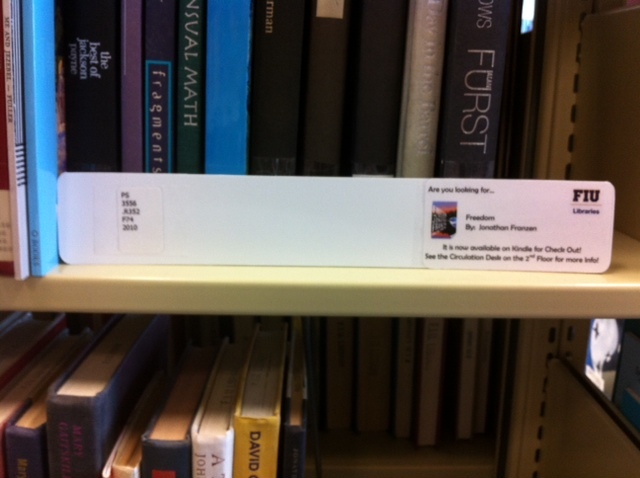 Then we realized no, we still have all this LSTA money that the Arizona State Library was nice enough to give us . . . we should probably spend that out. So we looked at the highest items on the list that we didn’t have in mobile – book reviews and staff recommendations. That’s when we decided to make the book recommendation app. As it turned out we already had a lot of the raw materials for the project. Staff was already doing book reviews and posting them on GoodReads. 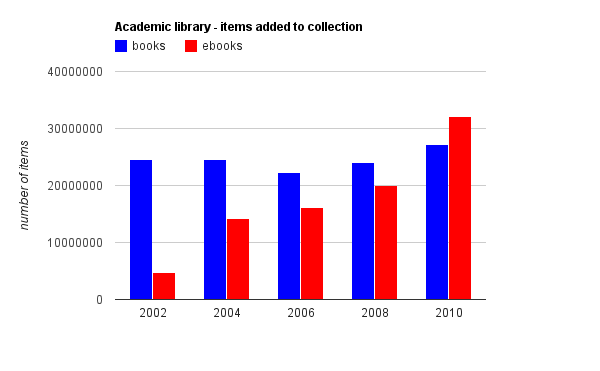 We had content enrichment services for bib data and book jackets(Syndetics). And we had the mobile catalog and the ability to generate RSS feeds of items in the collection (AirPAC and FeedBuilder from Innovative Interfaces). All we needed was someone with enough experience to put that together. From the outset of this project, we engaged all levels of staff. This was critical to ensuring that whatever product we created would be supported throughout the organization, as well as vetted to ensure that we didn’t leave out any crucial elements. One of those elements was the encoding that allowed FeedBuilder to pick up the items for Gimme. A quick chat with the catalogers solved that problem – they created a series statement utilizing controlled vocabulary that would identify the item as belonging to a particular Gimme category and pasted the review into the MARC record. By adding Library staff review_[gimmeCategory] in the 830 field of each record and indexing it, not only were we able to create a constant flow of records for the Gimme feeds we were able to give all library staff easy access to these reviews when searching in the catalog. The other process we had to create was a standardized way for people to submit reviews. Here we called on the cataloging group, the folks who where posting to GoodReads, and our IT department to create a book review form on SharePoint. The form itself was easy – staff at any level go to SharePoint (which functions as our intranet), type in their name, info about the book and their review and submit. The catalogers and GoodReads group developed a process to “hand off” reviews that ensure that it gets encoded, posted in both the catalog and GoodReads, and at all times is associated with the ISBN of the same edition so that everything seems to magically link together. Having staff who don’t normally interact working together on the share outcome certainly fostered a sense of ownership and respect in the group. Once the Gimme engine design was complete, and we had the back end programming to make it work, we were ready to unleash Gimme out into the world. Our biggest concern was that Gimme would get lost amongst all of the other products and services the library offered. One evening while cooking a delicious shepherd’s pie, a light bulb went off over Ann’s head. Since we were using our library staff book recommendations to fuel Gimme, why not turn our Staff in marketing vehicles? The next day a call went out to staff asking whoever wished to help to come forward. The end result was 15 life-sized cardboard cut outs of library staffers, highlighting their personalities. Attached to each was a ‘speech bubble’ that directed customers to go to http://gimme.scottsdalelibrary.org to see what books that staff member recommended. The next phase was to create floor decals to put in various spots in our five library branches, so as customers walked through the library they would gain exposure to Gimme. We created corresponding buttons for staff to wear, which helped spur conversions and questions from customers, “What is Gimme?” This marketing plan engaged all level of staff, which helped make the launch of Gimme a success. 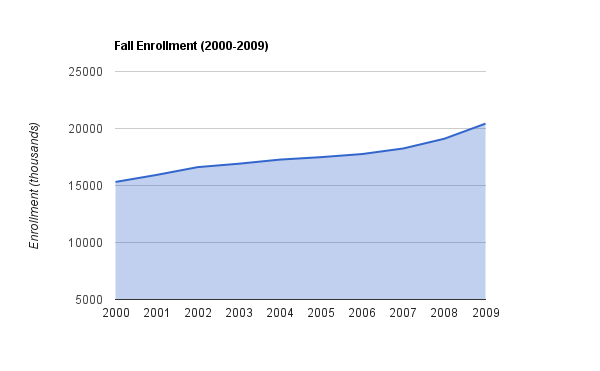 One year later the Gimme Engine is continuing to grow with new categories and increasing stats. Not only was the project a success but it by integrating the various workflows we’ve been able to make it, as well as doing fun reviews by staff, part of our culture. We hope that our experience can help you in some way make your next project as successful as the Gimme Engine. Aimee Fifarek is the Library Technologies and Content Senior Manager for the Scottsdale Public Library in Arizona. She has an MLIS and an MA in English from University of Wisconsin-Milwaukee and spent 6 years as the Systems Librarian at Louisiana State University in Baton Rouge before going to Scottsdale. Her professional interests include ebook platforms & development, self-publishing, and mobile technologies. She can be found on Twitter @aimeelee. Ann Porter is the Community Relations Coordinator at the Scottsdale Public Library. She has over 11 years of marketing, PR and media relations experience, working for organizations such as a major cosmetics company, an online retargeting agency that was recently purchased by Ebay and for a major NFL team. 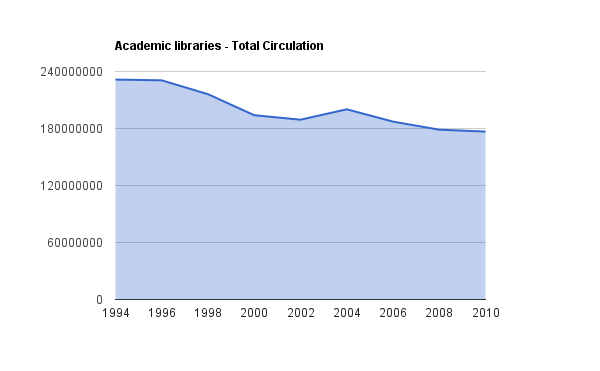 Author Will KurtPosted on February 1, 2012 February 1, 2012 Categories Books, change, data, library, technology, webTags academic libraries, books, circulation, data, library, trend, user behavior20 Comments on The End of Academic Library Circulation? ACRL announces the publication of Zotero: A Guide for Librarians, Researchers and Educators. 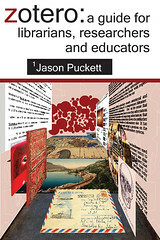 Authored by Jason Puckett of Georgia State University, Zotero: A Guide for Librarians, Researchers and Educators is the first book-length treatment of this powerful research tool developed by the Center for History and New Media at George Mason University. Written for end users, librarians and teachers, the book introduces Zotero and presents it in the context of bibliography managers and open source software. 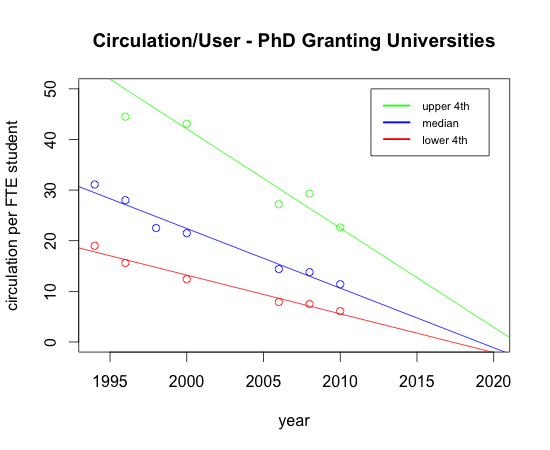 Puckett then provides detailed instructions on using the software in research and writing, along with a wealth of useful information including instructional best practices, examples, support tips and advanced techniques for those who teach and support Zotero. A perfect guidebook to a robust open access research tool that allows the user to manage all aspects of bibliographic data, Zotero: A Guide for Librarians, Researchers and Educators is essential for librarians, classroom faculty and students alike. Zotero: A Guide for Librarians, Researchers and Educators will be available at the 2011 ALA Annual Conference in New Orleans and is available for purchase in print and as an ePub, Kindle, or PDF e-book through the ALA Online Store; Amazon.com; and by telephone order at (866) 746-7252 in the U.S. or (770) 442-8633 for international customers.